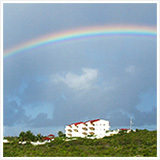 Anguilla music runs the gamut. On the one hand, you have musicians who mostly play better-known regional songs, including a Reggae song cover or even some regional Soca covers. 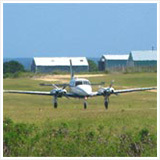 Performed nicely, they promote easy grooving and most of us travelers can agree that the vibe is fun and relaxing. 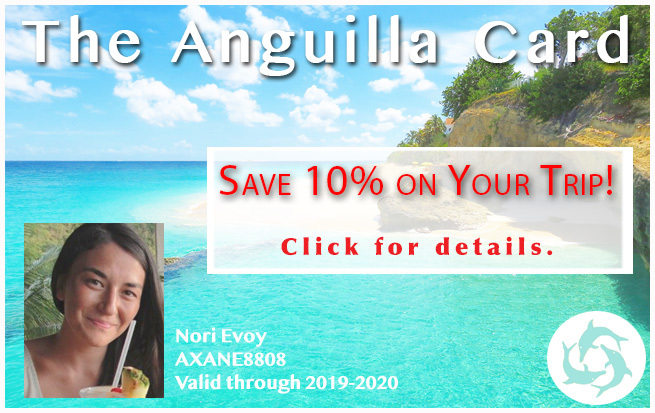 At the same time, Anguilla music is developing and getting some recognition outside of that more typical yet ear-pleasing, head-bopping category. 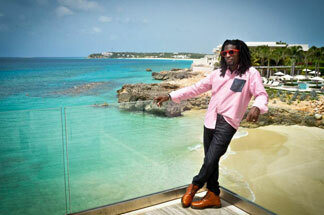 Bankie Banx may be the first Anguillian musician known outside of Anguilla. He started his music dynasty in the 1960's and has been growing it ever since. He does a few covers but his songs are mostly originals, written by him. They are great stories and his sound and personality are undeniably his own, carrying his career for decades now. 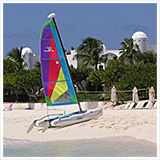 Bankie Banx's Moonsplash is one of the better-known Anguilla events besides Anguilla Carnival. We shared a bit on Bankie's personable and sweet-voiced son, Omari Banks who has started his own singing career in Anguilla. He is certainly a crowd pleaser! 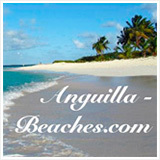 Another locally popular Anguillian music group known by some visitors is the Mussington Brothers. While not performing so much together as "the Mussington Brothers" anymore, many of the Mussington's are still entertaining people solo. Darvin Mussington has even opened up his own night club where you can catch him and his beautiful daughter singing. Here's a little on Darvin's Place, an Anguilla nightclub. Sproka has also been entertaining visitors for many years. He is a memorable Anguilla music encounter. 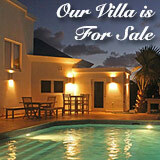 More and more talent continues to surface on the not so large island of Anguilla! Something New: British Dependency, aka "BD"
I happen to know a group who set out back in 2009 to be professional musicians and who are happy to entertain visitors with their music but, more distinctly now, intend to bring their original music to fans outside of Anguilla. Fortunately, I can call them very good friends who feel like family, and they - the three piece band along with their creator - are a talented band called British Dependency. 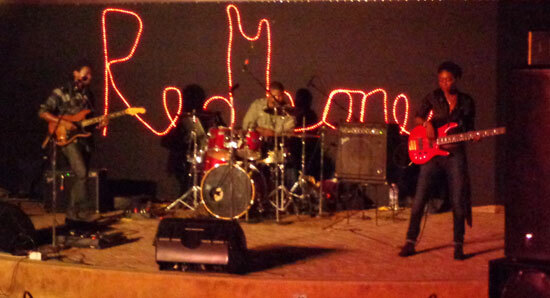 The three you see and hear are Ruel Richardson on guitar and lead vocals, Joyah with her bass and occasional vocals, and Jaiden Fleming on drums. Davon Carty, the creator of this band and concept, has penned many of the songs' lyrics and operates as a conductor. Who ever knew that a three piece band consisting of guitar, bass and drums along with strong vocals could create music that sounds much bigger than a three piece band? I've witnessed their development, growth and original composition process directly. It is a true creative process and stems from sheer talent and genuine, pure love for what they do. When I say "business" I mean, their determination to earn their living as musicians, doing what they love, is their goal. They love music and collaboration. It is also very important to them to represent where they come from while sharing their strong values, talent and professionalism. So what kind of music do they play? It's difficult to stifle British Dependency's music in to one genre. The listener can be the judge, but be sure to listen to a collection of their more recent songs before attempting to categorize, if you desire. 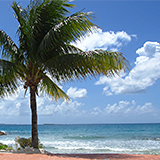 The members were raised in St. Kitts and Anguilla in the Caribbean, respectively. Their sound is influenced by music they were exposed to growing up, which is a spread as close as a church in Anguilla to well outside of the Caribbean Region. 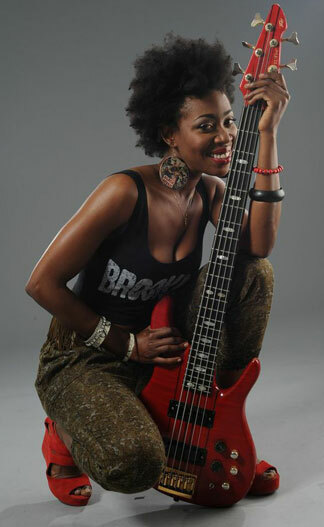 Joyah, Anguilla's first performing female bassist (and therefore a trailblazer in my opinion), had the bass "speak" to her above all other instruments. She followed her heart, practiced on the bass at home and later worked with one teacher, and was invited to become a member of the band in 2010 once her mostly hidden talent was found out. She's grown and in 2013 started adding to British Dependency's music with some vocals as well. 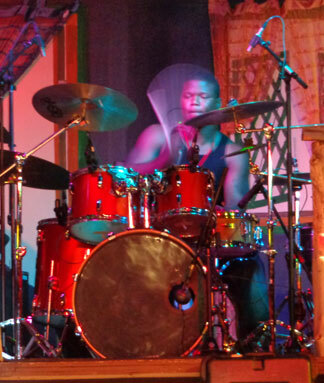 Jaiden Fleming, the youngest member, is the drummer who was raised in Anguilla and raised around Gospel music and was tapping on drums from a very early age, as his father is a drummer. In his late teenage years, he has honed-in his craft under the guidance of band creator and drummer, Davon Carty. He's is one of the most exciting drummers I've ever seen, and I've seen a lot... but I could be biased as the drums are my personal favorite. Ruel Richardson, the guitarist and lead vocalist, comes from a family of Regional musicians. 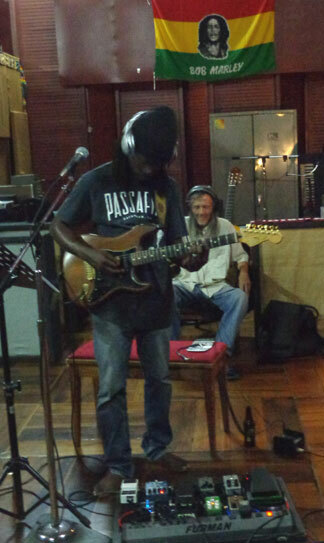 Many who visit Anguilla and see Ruel live and up close compare his guitar skills to Jimi Hendrix. His voice is unique and stays with you in a very pleasant way. Ruel's father, "Cakes", is a widely known Anguillian musician and can still be seen at some Anguilla events strumming his banjo. And Cakes even makes a cameo in the newest British Dependency video below (he's at the very beginning). Ruel's talent is so elevated that it may go beyond genetics, though. Since classification is a popular gesture, we can include Rock, Soca, Reggae, Zouk, Calypso, and R&B as known genres that make appearances in British Dependency songs. A combination of all of those mentioned is really the true genre, or rather their songs are a new genre all their own as the members have a variety of influences amongst them. 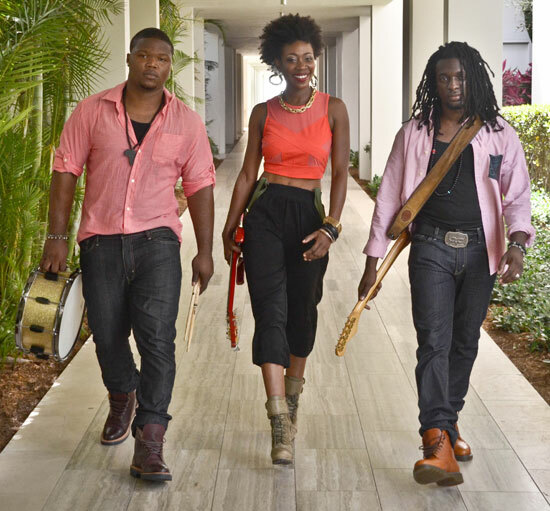 The chemistry of these three musicians is palatable and has enabled them to be well received by many esteemed music critics in and outside of Anguilla. A review by the Jamaica Observer of an early 2013 live performance and Redbones Jazz Club in Kingston, Jamaica called them, "Anything but colonial" and they have been invited back. British Dependency was also invited to perform at the "Festival Mondial De Musique Des Femmes D'ici Et D'ailleurs" in Montreal and at several New York City venues in the Summer of 2013 and will then begin a Caribbean Regional Tour in the fall of that year. 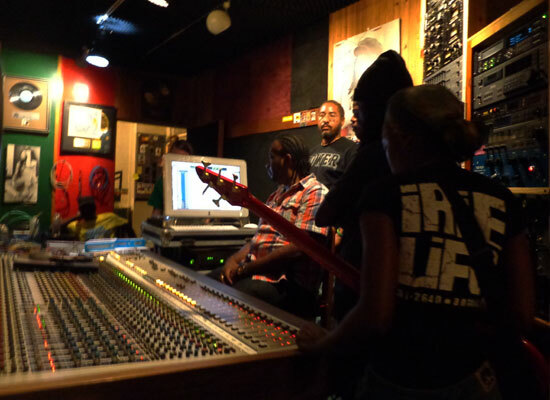 Excitement around the band has been building... in March 2013 they traveled to Kingston, Jamaica to record their third album at Bob Marley's Tuff Gong Studios. It is from a man who Bob Marley was personally responsible for bringing to Tuff Gong when he met him on the road in London. Bob met Chaio and, subsequently impressed, he persuaded Chaio to come back to Kingston and work at Tuff Gong. Decades later, Chaio, who continues to be leaned on there, has never left Kingston or Tuff Gong since. He is on site daily and has seen many musicians and groups pass through and spend many hours recording music. During British Dependency's first day of recording, Chaio was working in the recording room late that evening when Ruel was doing overdubs on his guitar. After about 10 minutes of witnessing Ruel's work ethic (he had been recording many songs all day) and skill, Chaio stopped what he was doing, sat in a chair, closed his eyes, smiled, tapped his foot, and occasionally would lift an eyelid to peep out as in disbelief. First he said to Ruel, "aren't you tired?". Sometimes a man of few words, Ruel shook his head no. When Ruel finished his overdubs that night, Chaio removed his headphones, looked at him for a moment and then said to him, "You are a genius, son". I found it to be a profound moment and extremely telling of the overall uniqueness and great talent. Here's a hard-working band from tiny, little, not-well-known Anguilla, impressing a man who was considered impressive to the great Bob Marley, and who's seen and heard so many musicians over the years. Wow! 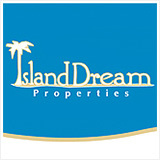 and Engineer on Damian Marley's album "Welcome To Jamrock"
Where can you find British Dependency in Anguilla? 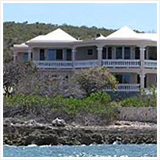 British Dependency has played many venues in Anguilla such as the well-known Pumphouse and Dune Preserve. 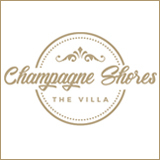 Check the music events page for the most up to date schedules. If you would like to get to know the band a little better... they host a radio show called, "Finding Wisdom" each Thursday at 8pm ET on Radio Anguilla and feature a variety of guests. 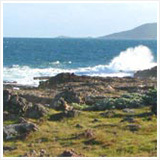 The station website offers streaming. Hopefully everyone will be able to experience a live performance by British Dependency at some point... it is a true treat. In the meantime, here's their video for a song called, "Do You This". It's a one of a kind-type song on their newest album that will release in late 2013 and includes Peter Tosh's former back-up singers, The Tamlins. In the video, you may notice some familiar Anguilla faces!